Disney-Pixar's "Toy Story 3" and Walt Disney Pictures'/Jerry Bruckheimer Films' "Prince of Persia: The Sands of Time" are headed to ShoWest 2010. Disney-Pixar's "Toy Story 3" and Walt Disney Pictures'/Jerry Bruckheimer Films' "Prince of Persia: The Sands of Time" are headed to ShoWest 2010 which will be held March 15 - 18, 2010, in Las Vegas. "Toy Story 3" will be screened for ShoWest attendees on Tuesday, March 16, while "Prince of Persia: The Sands of Time" will be screened on Thursday, March 18. "We are thrilled that Disney has decided to bring two outstanding films to ShoWest 2010," said Robert Sunshine, managing director of the event. "The opportunity to showcase the story of 'Prince of Persia' and the beloved characters of 'Toy Story 3' in front of the important professionals of the motion picture industry and owners of theatres demonstrates the significance of this audience to forthcoming blockbusters; and we expect that Disney will only exceed our expectations as they have in years past." Hitting U.S. theaters on June 18, 2010, Disney•Pixar'sToy Story 3, is a comical new adventure in Disney Digital 3D. Buzz, Woody and the rest of the toys are troubled by their uncertain future as Andy prepares to leave for college. 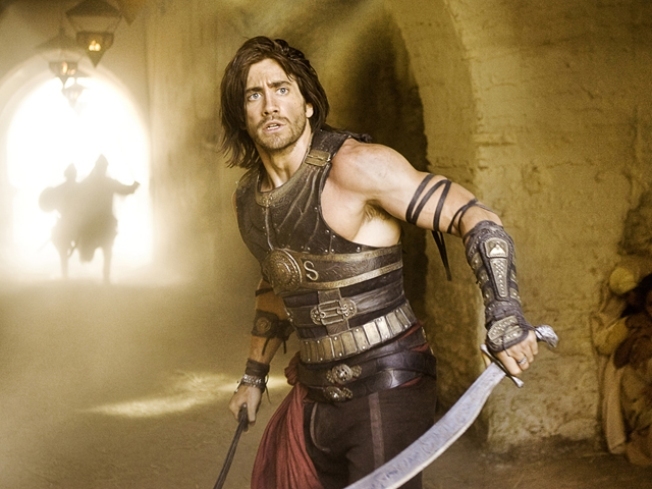 Set in the mystical lands of Persia, "Prince of Persia: The Sands of Time" is an epic action-adventure by Walt Disney Pictures and Jerry Bruckheimer Films. In U.S. theaters May 28, 2010, the film features Jake Gyllenhaal as a rogue prince who, along with a mysterious princess, Gemma Arterton, races against dark forces to safeguard an ancient dagger capable of releasing the Sands of Time—a gift from the gods that can reverse time and allow its possessor to rule the world. ShoWest is the largest annual convention for the motion picture industry. It is the only international gathering devoted exclusively to the movie business and the single largest international gathering of motion picture professionals and theatre owners in the world. The 2010 edition of ShoWest will be held March 15-18, 2010 at Bally's and Paris Las Vegas and is expected to draw more than 5,000 members of the motion picture industry. Each year, ShoWest attracts delegates from more than 50 countries in North and South America, Europe, Asia and Australia. ShoWest is produced by the Film Group of e5 Global Media. The Film Group also includes ShowEast, CineAsia, Cinema Expo International and Film Journal International. e5 Global Media also produces the Film Group's sister publication, The Hollywood Reporter.